So, my attention-grabbing headline is slightly misleading – it’s actually frozen yoghurt. But it’s pure genius. It takes literally seconds to make and is such a treat for breakfast it feels like it should be bad for you, but it’s really healthy. All I did is blend a single portion of frozen fruit with natural yoghurt in my mini whizzer and added some toppings. 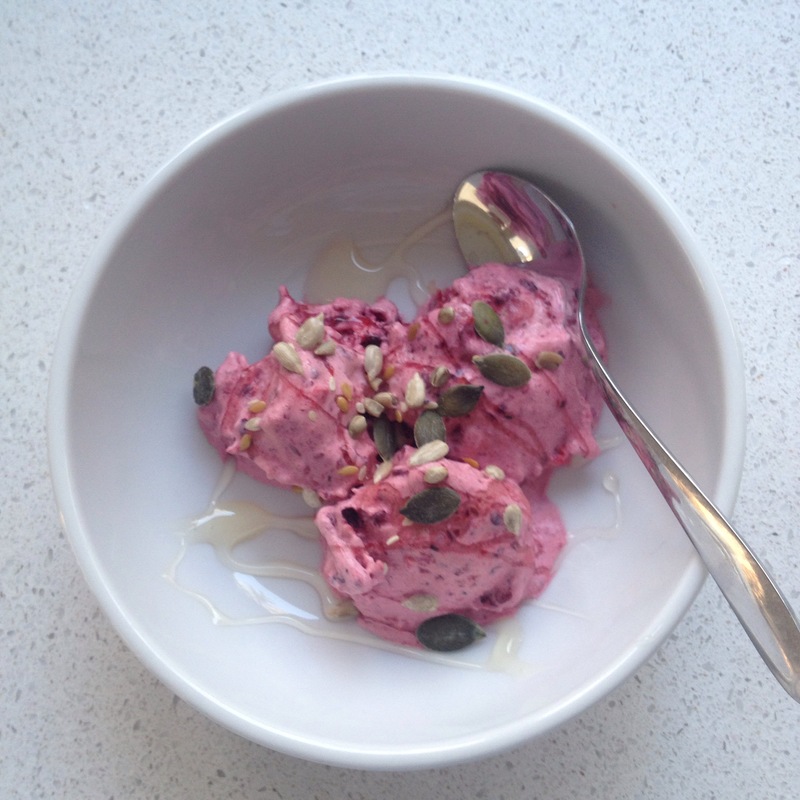 Fresh yoghurt + frozen fruit = frozen yoghurt. 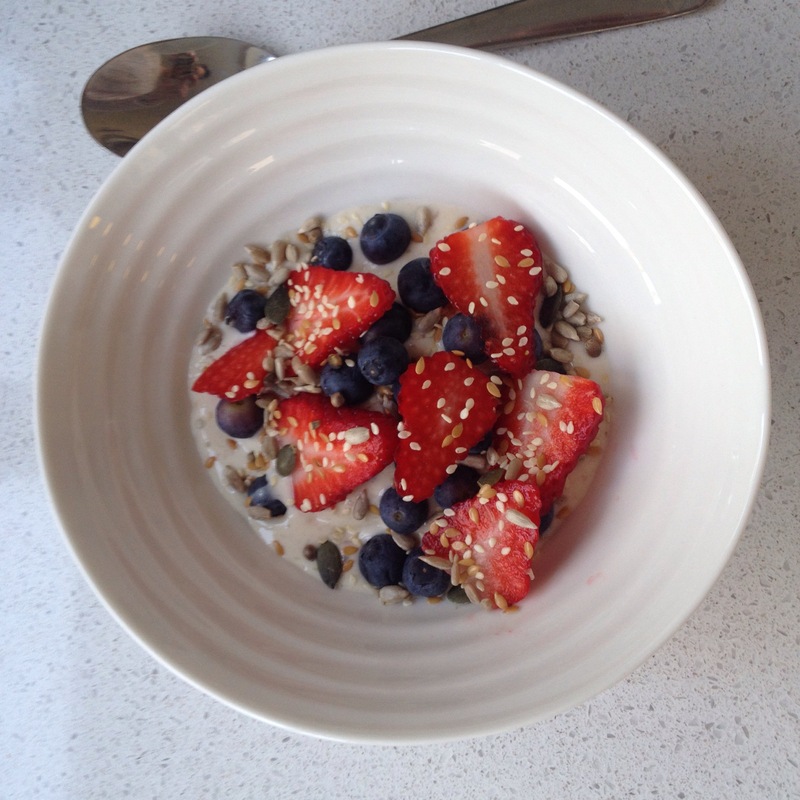 The first picture is some frozen berries and natural yoghurt topped with a drizzle of honey and a sprinkling of seeds. These were budget frozen berries from the supermarket, so they were a bit tart and needed the sweetening honey. But when they’ve all gone I’ll be using fresh berries, which are coming into season. I think it’s the perfect summer breakfast.